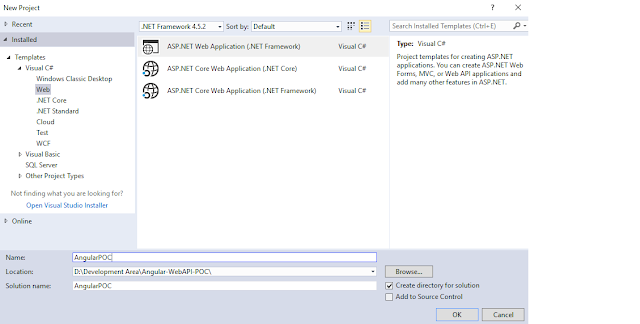 How to create a single page application using AngularJS, WebAPI & MVC? In this article I am going discuss How to create a single page application using AngularJS, Web-API and MVC with a basic example for beginners. How to implement routing, controllers and services using angular. Please follow the below steps for creating the Angular application. Step-5 Create one HomeController with following code. Step-6 Create an HomeAPIController with following code. 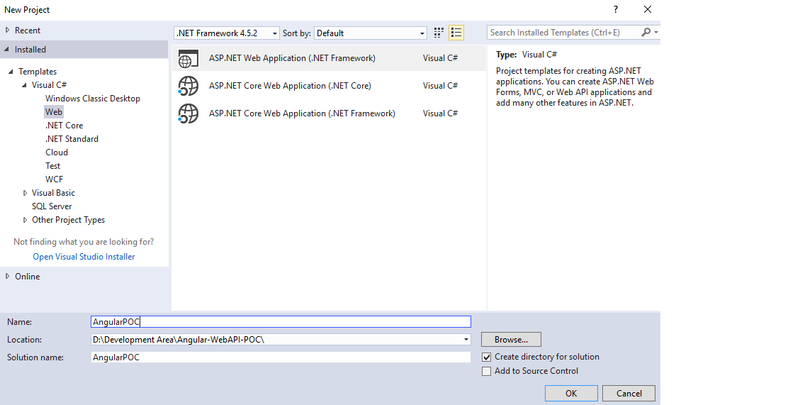 Step-7 Create a new folder App inside the solution. Step-8 Create an module.js file inside the App directory with following code. Step-7 Add Controllers and Services folder inside of it add file homeController.js and homeService.js with the following code. _Layout.cshtml - Layout file for the template. Index.cshtml - First page that render the data.